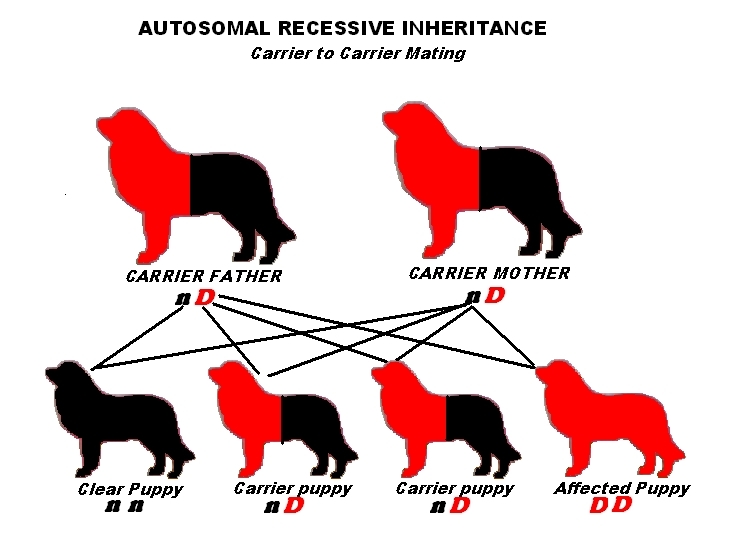 As with all genetic inheritance, a puppy will receive half of their genes from their dam and the other half from their sire, giving them their own unique collection of paired genes. In the case of recessive illnesses, a puppy must receive an identical faulty gene from both its mother and its father before it will get the illness. 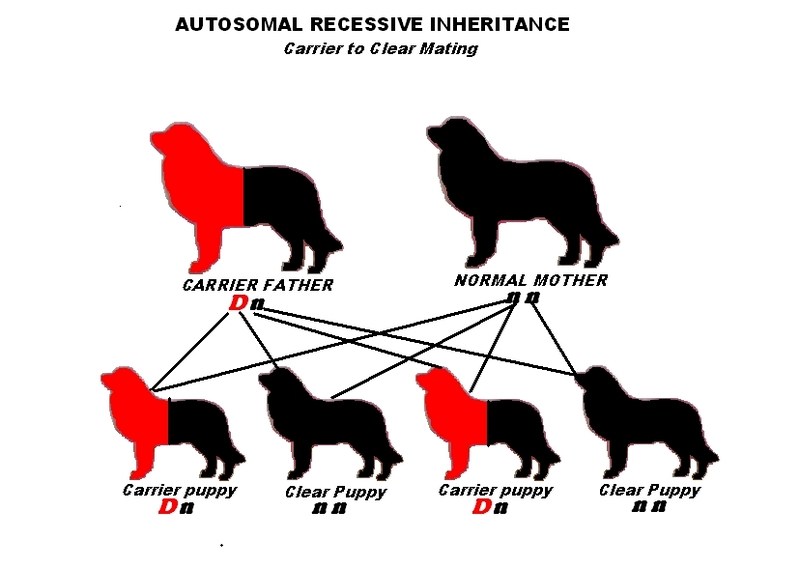 This is thought to be because in recessive inheritance, although a puppy may have one bad copy from one parent, (making that puppy a “carrier” of the fault), it will still have a correct copy of the healthy gene from the other side, and this is enough to over-ride the defective copy. In order to succumb to the illness both copies must be defective. It is for this reason that bad genes can lurk for generations within healthy appearing carriers and will only have a chance of coming to light when a carrier and a carrier are mated together.